Adam Abramowitz listens closely to his clients’ goals and navigates clients to create personalized and comprehensive estate plans. Adam’s philosophy with regard to estate planning is that it is an ongoing, lifelong processes clients should engage in proactively. He believes that everyone should have the ability to make sure their living and dying wishes are honored. He assists individuals and families with all aspects of estate and trust planning, including the use of trusts for the next generation, charitable gift planning, special needs planning and estate and trust administration. Further, Adam counsels clients through matters requiring estate and trust litigation. Prior to joining Stein Sperling, Adam worked as an attorney at an estate planning law firm in the Washington, D.C., metro area. 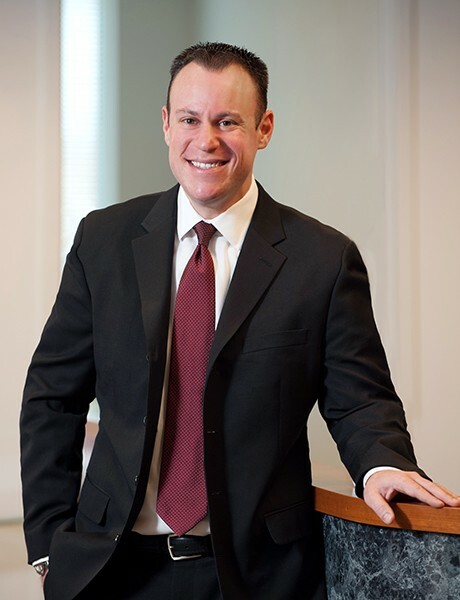 Early in his career, he gained experience as a law clerk supporting various practice areas, including estates and trusts, with law firms in Maryland and Washington, D.C.
Away from the office, Adam enjoys cheering for Baltimore sports teams, including the Orioles and Ravens. He is an avid golfer and enjoys all things outdoors, including hiking with his wife and playing with his dog on the beach.